Newcomb Secondar College's P-TECH Program gives students hands-on training for career pathways. Students enrolled at Newcomb Secondary College have some exciting opportunities coming their way as they move through the College and into year 10, 11 and 12. The college offers a unique opportunity through the P-TECH Program for students to study a Certificate III in Health/Science, Business/Finance, ICT or a Certificate II in Automotive (Motor Mechanics). The ongoing recognition and support of the P-TECH Program provided by local industry partners in the form of regular on-the-job mentoring has enabled students to work in and see first-hand a diverse range of organisations. 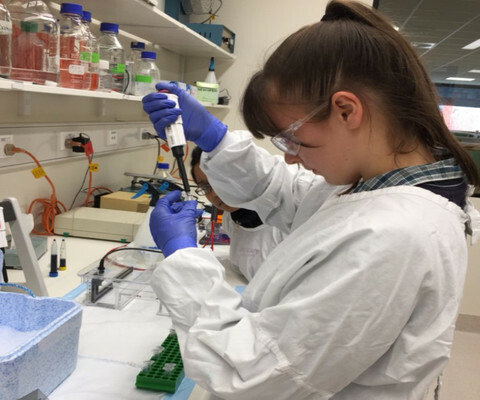 During 2019 laboratory skills students have the opportunity to visit laboratories specialising in medical research, food and water testing, quality control, fitness/performance and veterinary testing. Students studying in the ICT field can be mentored by specialists in coding and networking and business students can be mentored in the banking and sporting/event management fields. New to the program in 2019 is the opportunity for students to join a brand new stream of study in Automotive (Motor Mechanics) as the P-TECH Program welcomes on board the Blood Toyota Group. Automotive students will be mentored by highly qualified staff in state of the art facilities in the Blood Toyota service division. The number of P-TECH industry partners has consistently grown over the past four years as organisations recognise the value of the program in addressing the skills needed for Geelong’s employees of the future. More information available at newcombsc.vic.edu.au or by phoning 5248 1400.